West Seattle fitness for the young at heart! Continue being your best self, physically and mentally, with low impact, fun and easy to follow moves set to music you can sing along to. 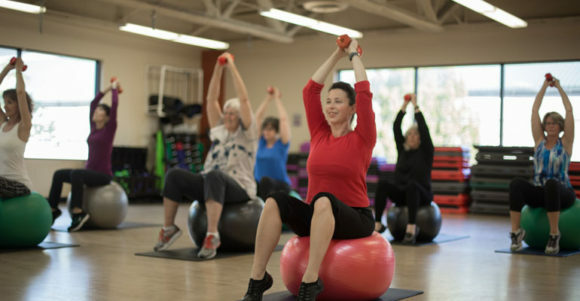 Fit & Fabulous focuses on maintaining strength, stability and range of motion in the whole body for continued freedom of movement in daily life and recreational activities. This class features changing directions, bending and straightening, shifting side to side, and limbering and mobility exercises for the back, neck and shoulders.